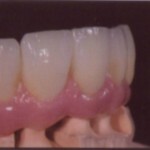 Despite the fact that absence of teeth is a widespread phenomena in the population, prosthesis as a solution are, in our point of view, still not used to their full potential. A patient without teeth is a patient limited in his crushing power. This may cause problems not only on a gastric, intestinal and articular level but also on a psychological level. We mustn’t forget that the mouth is part of our presentation card to other people. There are a number of options for replacing missing teeth, with their own indications, but all with the same aim: function, aesthetics and safety. The in situ presence of our specialised Laboratory and therefore the constant communication between our medical and lab team, simplifies all the procedures associated with the development of the prosthesis. The process can be translated in two words: efficiency and speed. 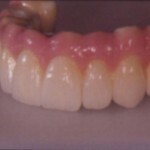 The procedures are totally painless and are always performed with the maximum comfort of the patient. Does the Clinic treat children? Children are accepted as patients by the same process as adults through screening. The clinic does not treat children less than 5 years of age.